During the last more than three decades, Afghanistan has been impacted in many ways by conflicts. One can hardly find an Afghan family which has not lost one or more members in this period due to conflict. Over one million people have been killed, one million have been disabled and millions either migrated abroad or are internally displaced. Conflict and other factors such as unemployment, general poverty, breakdown of community support services, and inadequate access to health services have not only damaged the social infrastructure of the nation, but also caused mental health disorders mostly in vulnerable groups like women and disabled people. A number of Kabul citizens told The Kabul Times there is no doubt that continued wars, widespread poverty, unemployment and immigrations have caused a number of Afghans to face mental health problems. In fact, mental health in the country is a topic that needs to be better understood. If a survey is launched, probably, 5 Afghans out of ten have mental illness, thus, the relevant organs should work on delivering information and supportive programs in this respect. A young boy, Ahmad Farid said I lost my two brothers in Helmand wars, a tragedy that caused my mother to face mental health problem. She is now under treatment in a mental health clinic and I hope she recovers soon, he further said. 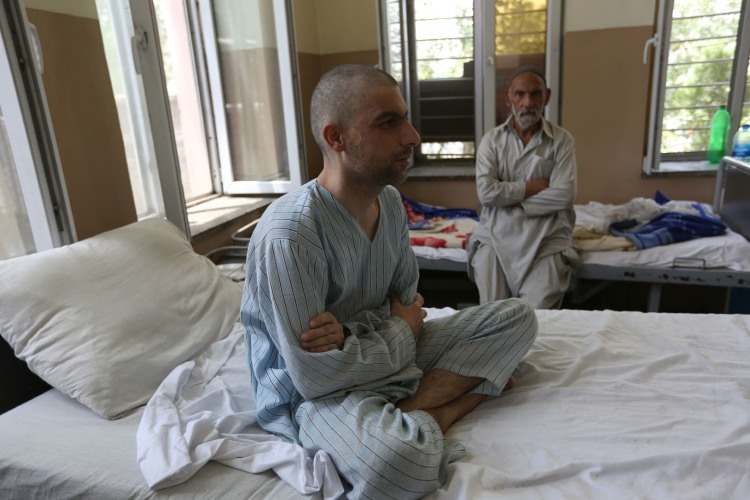 According to the ministry of public health, 50 percent of Afghans are facing psychiatric disorders, but they are mentally ill.
During a ceremony held to mark ‘World Mental Health Day’, the Deputy Minister for Health Services Fida Mohammad Paikan said there were various factors causing mental illness and forcing people to commit suicide. The assessment has been launched by MoPH in 16 provinces in cooperation with European Union. He added. According to him, to prevent mental health problems, the ministry of public health has recruited 750 mental health advisors in health clinics and all provinces of the country. Earlier, the ministry of public health said that 80 percent of the country’s population were facing mental health problems. Addressing the ceremony, EU representative committed to cooperate with the ministry of public health in training professionals and supporting mental health centers.